Zinc is an essential trace mineral that is required in the body to support a number of different functions including maintaining bone, skin and hair health, and building a healthy immune system. 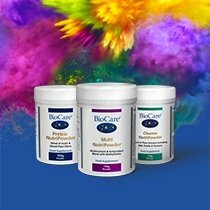 At BioCare, we offer a wide range of zinc supplements. Our core zinc supplements are bound with specific nutrients that help increase the absorption rate of this important mineral. We also offer multinutrient supplements with high levels of zinc such as Immune Intensive. Browse our full range below, or read on for more information about our zinc supplements. Zinc is a metal that the body needs – in tiny amounts – to stay healthy. The mineral plays an integral role in a number of essential bodily functions such as DNA synthesis, cell division, cognitive function and vision. Zinc helps you look healthy too as it contributes to the maintenance of hair, skin and nails, as well as bones. It is instrumental in supporting the metabolism of fatty acids, carbohydrates, macronutrients and vitamin A. And for people looking to start a family, Zinc supports normal fertility and reproduction, as well as testosterone levels in men. 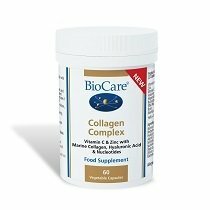 At BioCare, we offer a number of zinc based supplements. Zinc Citrate provides 17mg of zinc per day and is combined with citrate to improve its absorption rate. A water-soluble tablet, Zinc Citrate can be taken as a lozenge if preferred. Zinc Ascorbate is a high potency zinc capsule supplement mixed with 100mg of vitamin C. We also offer a liquid version within our Nutrisorb® Liquid range – called Nutrisorb® Liquid Zinc Plus Ascorbate. OptiZinc® combines L-methionine and 14mg of zinc for optimum absorption. Zinc is an antioxidant and therefore helps to protect cells from oxidative stress. The mineral also works with Vitamin C to support the body’s immune system. Our Immune Intensive supplement provides 15mg of zinc in a potent mix of elderberry, sage and beta glucans with vitamins C and D. This powder supplement is also packaged conveniently as a week’s supply in seven one-a-day sachets. Having a healthy level of zinc in your body is important for men. Therefore our multivitamin supplement MaleForte® Multi includes 17mg of zinc, plus a rich mix of other vitamins, minerals and antioxidants. Saw Palmetto – previously called Prostate Complex – provides 15.8mg of zinc amongst a wealth of other important nutrients. As a powerful antioxidant, having adequate levels of zinc in the body is important for children too. 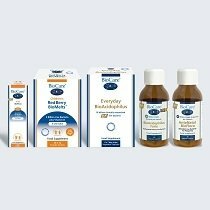 Our Children’s Elderberry Complex is a deliciously tasting elderberry concentrate with added vitamin C and zinc that is very popular with our younger audience.